As I posted earlier my Prot Pally made it to Outland. He is now level 63 and I’ve gone through Ramparts, Blood Furnace and Slave Pens. I can say for sure that they made those instances easier, especially the final boss of Ramparts. 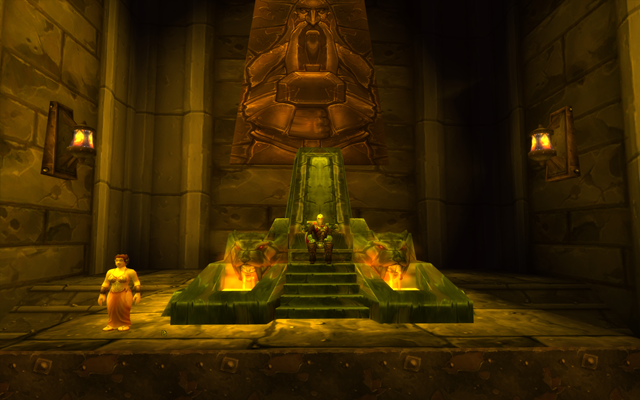 Back when Burning Crusade first came out I remember pug groups wiping dozens of times on him until they gave up. If you stood in the dragons fire for more than two seconds or so you were dead, didn’t matter if you were healer, tank or DPS. Add to that the fact that it is really two bosses, and you have no drinking or eating time between the last trash pull and the boss, and it used to be harder to do that at the appropriate level that it was to do some Heroic Dungeons later on. Now though I don’t even move out of the fire. Neither does my wife. We kill both bosses easily and her renew keeps anyone in the fire at full health. Let’s be clear though, I don’t think that this change is a bad thing. The simple fact was that very few pugs of the right level beat that boss. Like the Crystal Entity in Star Trek Online it simply requires far too much coordination to expect out of a pug group. Content like that is great for heroics or level cap dungeons or raids, but let’s keep the insta-death stuff out of the lowbie pug area. On another note I got my Death Knight’s Mining and Herbalism to 300 by traveling all over Azeroth. My Death Knight is basically my bank alt, since he starts with nice bags and some money, plus an epic mount. I’m also using him to help out my Pally, who is Blacksmithing/Enchanting. One of us HAD to go enchanting since we were running all these instances, so I did. The wife went Jewelcrafting/Mining but I don’t like to take her ore.
On a final note my “free month” for both EverQuest II and Fallen Earth are up and I’ve got some decisions to make. Out of those two I would probably still with Fallen Earth, but those are not the only two options. I already own Age of Conan and I’m thinking about resubbing for a month just to see how far it’s come and if it’s for me. I’m playing through the endless Tortage trial now to see if I even feel like coming back. The graphics of the world are still as amazing as I remember, but at least for me the character textures seem…poor. Especially where the neck meets the body. Of course there is also Vanguard (Now available through Steam) though I would have to buy that one before I could play it. Finally (and the one I’m leaning more toward) is DarkFall. I had a blast during my two week welcome back period and I’ve really missed the whole “skill based” system. I’m not a fool though. I know there are “levels” whether the game wants to call them that or not. You cannot really help as a newbie. Sure you can be a distraction, but I could do that in WoW at level 1 if I wanted, doesn’t mean it’s really participating. I’d have a several month grind until I could really enjoy the game as intended, but they are changing the health and a few other things soon that would help that. At the moment I am leading toward DarkFall, but nothing is set in stone. I’ll finish Tortage at least once and then figure out what I want to do. Wish me luck. 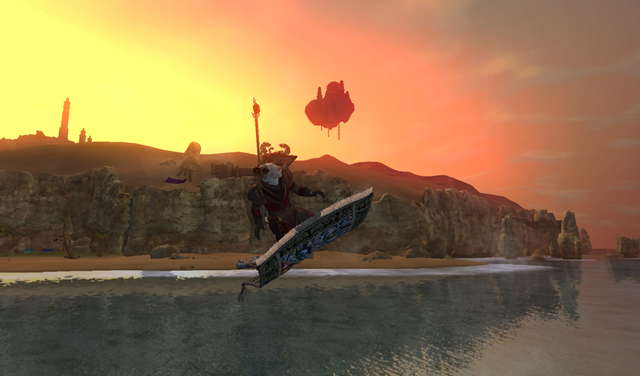 EverQuest II: The Sun is Shining! I got into a really great guild on the Antonea Bael server yesterday and it’s really changed the game for me. First of all I got a lot of questions answered. Then one of my guildies, a level 40-ish Inquisitor, asked if anyone wanted to go to a dungeon with him. I laughed and said I would, but it’s going to take a couple of days to get from 20 to 40-ish. He laughed and said he’d do a level 20 dungeon with me. That carpet is more an automated ride, not a mount I possess. In fact I possess no mount at the moment and I’m not likely to for a while. I do however possess three FORTY SLOT bags! I went from all 8 slots to having three separate FORTY SLOT bags! That’s more bag space than I think I have in WOW at level 80 at the moment. Anyway, after he showed me around the guild hall for a little bit, me being suitably impressed, he decided it was time to go to the dungeon. I basically followed him there, having only a vague recollection of where I was going, or why I was standing in Stonehenge harvesting shrubbery (apparently I can teleport there from the guild house now!). Speaking of guild houses one last time I feel the need to say that they are NOT like LOTRO’s guild houses. EQII’s guild house thing is like a GIANT castle with all kinds of randomness everywhere! It’s insanity. I’ll post some pictures later. The dungeon itself was fun, though I’m really not sure if there was a story involved, or even what the hell it was supposed to be. Some kind of mage prison maybe? Or just a hole in the ground? No idea. There were some quests inside but we didn’t bother with them, and I learned that if you stop to look at anything along the way it is almost impossible to find your group again. You have no minimap in the dungeon, so you’re forced to wonder through the halls of elite mobs looking for some sign that your group went that way. What is going on here? No one knows! I did get three levels and 2 AA levels in about 2 hours, so that was pretty awesome. The only downside is that other than keeping the tank targeted and spamming all of my abilities (if you target someone friendly and attack you automatically cast on the mob they are targeting) I really had no idea what was happening. Still, it’s awesome that higher levels can lower their level and help. What’s also awesome is that he still got XP, because he got another level while we were there! That’s a great incentive to lower your level and help lowbies. 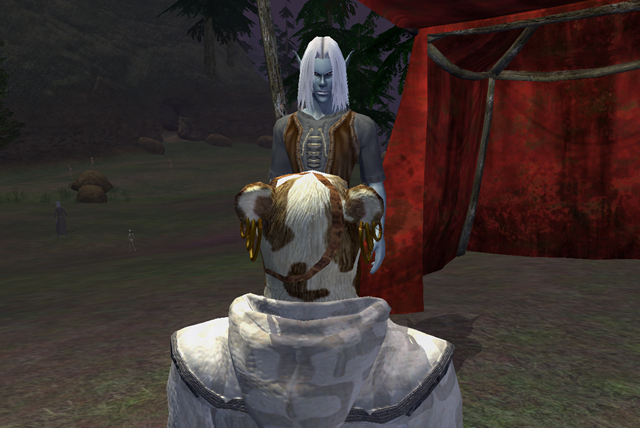 I’ll talk more about EQII as the story develops. Meanwhile I have other games I have to get to as well. 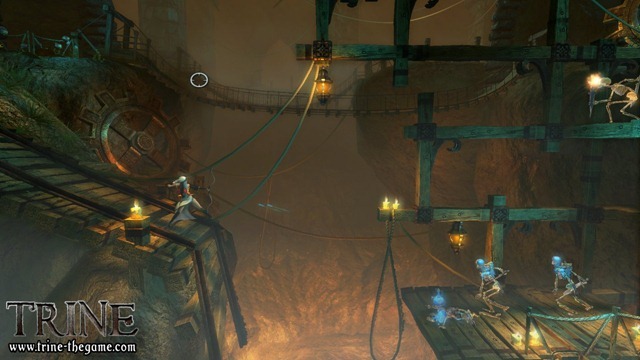 EverQuest II: What? Where am I? After playing 6 different classes to level 14ish I finally decided to stick with one until twenty. Above is a picture of my level 20 Coercer, in amazing looking (and free!) appearance gear that I got for buying the game. I’m still not sure whether Coercer is going to be my main though, since it seems kind of like a Necromancer that takes much more attention to solo with. My “pets” don’t keep aggro literally at all, so I’m pretty much rooting and DPSing things down. Usually what happens is that I accidently pull three mobs so I Mez two and start DPSing the third, and that’s when my screen flashes yellow (meaning my tamed mob has just broken free). Surprisingly, with how bad I play him, I’ve only died a handful of times. One of them was to a guard. My tamed pet broke free near one, and I managed to retame it before the guard killed it, which I guess flagged me against that guard because she came after as soon as she one shot my tamed mob. The second death happened in the capital city. Apparently there are huge cliffs littered throughout the cavern city, so I would recommend paying attention to where you are walking. Speaking of walking in the capital city of Neriak, it’s a pain in the behind. Thankfully after a very confusing quest I gained access to the teleporters that are littered throughout the city for travel convenience. So far there are several things I’m loving about the game, such as gathering nodes for leather and meat being little animal burrows where you “catch” them. It’s just like mining nodes, but I enjoy it MUCH more than skinning. 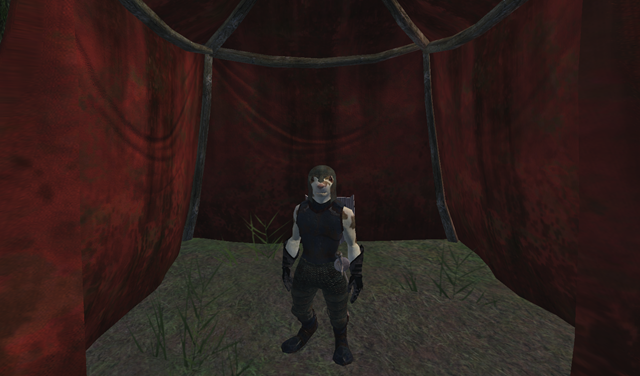 Since we are talking about crafts I need to just say that CRAFTING IN EQII IS AWESOME! It’s not a boring “click here and AFK” system like in most games. I’m not through with the tutorial yet as I need more materials, but you start your recipe and then use abilities in order to succeed, including reacting to unforeseen events. It’s literally like fighting mobs, but in crafting form. There are a few things I don’t like either. For instance I still haven’t seen anything that might be called a sun. Sure this is probably because I am evil and Neriak is the only starting city that isn’t the original lame Freeport starting quest island thing, or filled with terrible looking dragon people, and the surrounding area is called Darklight Woods. Still, it’s getting a bit dreary and I hope that there actually IS a sun in the game. There are also a ton of things I just don’t understand yet. I’ll leave all of those for another post, a long post. So far I’m having a blast in EverQuest II and I am looking forward to getting a bit higher and experiencing more of the content. Which my Coercer though? I’m not sure about that. I kind of want to play a clothie class since I have a free set of clothie appearance gear. 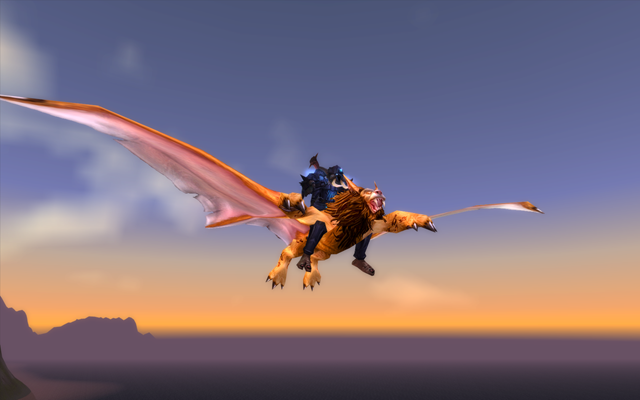 Also, what level am I going to have enough for a mount at? I see you can use them at level 1, but what kind of timeframe can I realistically expect to have the plat required to purchase the basic mount? I guess I’ll find out. Willpower, you have failed me for the last time! So I’ll never be a Green Lantern. It’s just not really possible. 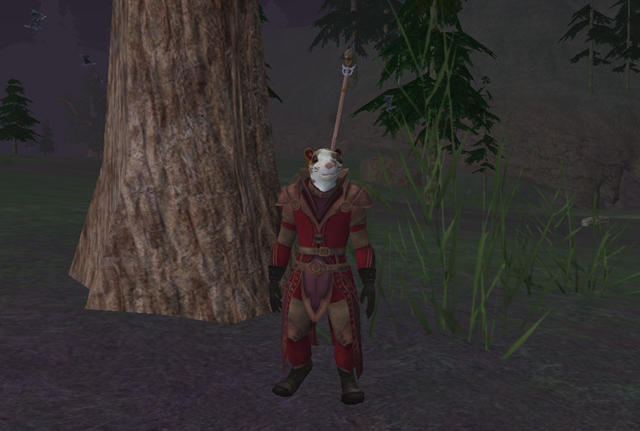 Yeah, I broke down and bought Everquest II. This is becoming a habit. On the upside I got Everquest II, all of it’s expansion packs and adventure packs, as well as a ton of in game items (including an awesome entire set of appearance gear that really works well with mages), all for $19.99. I had so much fun with the demo that, for that price, I just couldn’t help myself. Add onto that the fact that I’m going to be playing LOTRO this weekend with my wife and I’m now playing too many games to actually play at once. It’s going to be crazy around here until free time starts running out. I’ve gotten a Necromancer, Inquisitor and Defiler (Healers), and Guardian (Tank) to level 10 so far and I have a problem. I can’t decide what class to play. On the one hand I kind of really like the Necromancer, who I got up to level 15 while playing the demo. On the other hand it’s kind of like the WoW Hunter in that it’s very easy to level, so it’s one of the most overplayed classes. I tried a Defiler for a bit and, even though it starts with chainmail and a spear, it’s a really squishy caster. The Inquisitor starts with plate and does a bit of melee, but mostly is a caster as well. The Guardian is a traditional tank, sword and board of course. The problem is that on the forums people keep telling everyone not to go Guardian, since other than maintanking raids, the other tanks like Berserker or Monk can tank just as well, and can offtank or DPS much better. That would really speed up leveling, and it might actually make it easier to get into a party. So I guess my main question is, should I play a DPS, Healer or Tank. I love playing Healers and Tanks in every MMO I try, and I have never gotten a DPS to max rank in any game. Plus I’m firmly of the belief that if you are not a Tank or a Healer, you have no right to complain about a lack of either. Any suggestions from the EQII knowledgeable out there? If I should be a healer, should I be an Inquisitor, Druid or Defiler? If a Tank then should it be Guardian, Berserker or Evil Monk? The class HAS to be evil, since I am playing Ratonga. On a World of Warcraft related note me and the wife have already made alts, since our mains are grinding Orgrimmar rep and that gets boring. We’ve got them up to 16, mine being a Tankadin and hers is a Holy Priest. We’re using the auto dungeon tool and it’s the best thing I’ve ever seen for a low level player. Groups for us, being tank AND healer, are instant. Literally. The only downside is that sometimes people will join for a boss and then leave, or leave after one bad pull like a bunch of douches. On the bright side we are a tank AND a healer, so we just reque while in the instance and we instantly have more people. Donning his new robes, and finally getting a good meal, Amuntoth was all set to continue on his way.